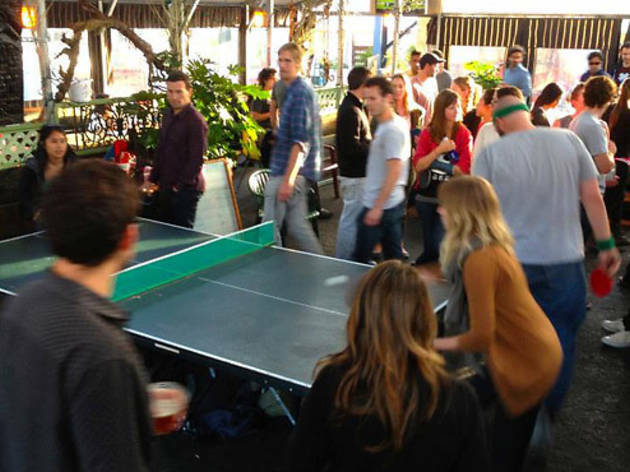 Put 30 people around a Ping-Pong table, throw in some musical chairs-style gameplay and have plenty of beer at the ready and you've got the makings of Berlin-style Ping-Pong. 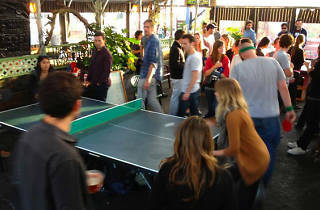 Each person takes a turn to serve or return a serve as the whole group moves around the table; mess up and you're out. American Tripps, the game's domestic following, is hosting two free events in LA, so make sure to brush up on the rules.